Fulfill your child's wish for fun-filled sleep-overs and gain generous storage space in the process. 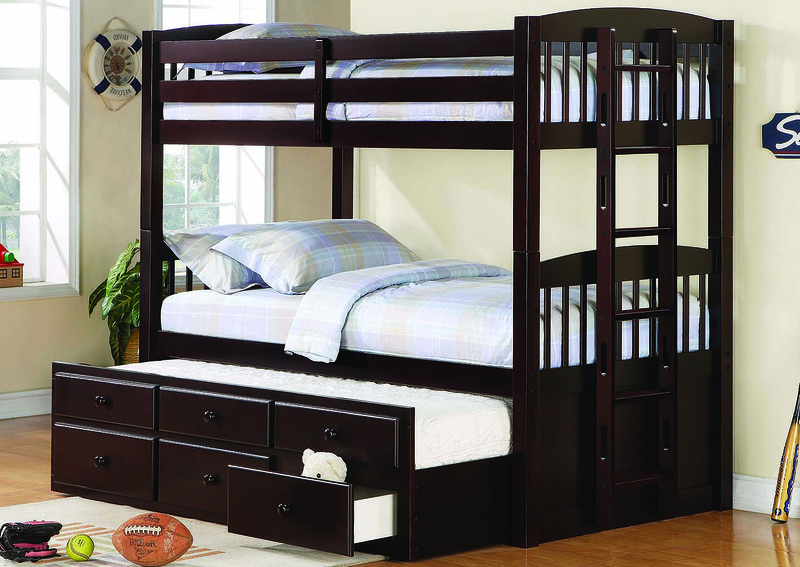 This twin bunk bed with storage makes for a playful youth bedroom that's kid friendly yet chock full of grown up appeal. This useful youth bed comes in a classic shape that kids love, and parents can't help but admire the added pull out twin trundle with storage capacity drawers. The horizontal guard rail and vertical ladder add contemporary appeal to the otherwise casual look of the bunk bed's frame.